All valid documents are well-formed; not all well-formed document are valid. DTDs loosen this restriction by allowing you to define new entities, even in an invalid document. [Error] invalidhotcop.xml:10:9: The content of element type "SONG"
Each tag must be declared in a <!ELEMENT> declaration. DTDs seem fundamentally more obfuscated than C.
Separate multiple required child elements with commas; e.g. <!ATTLIST maintainer email CDATA "webmaster@nywc.org"
<!ATTLIST maintainer email CDATA #FIXED "webmaster@nywc.org""
May or may not have the name "id" or "ID"
Name tokens differ from names in that they may start with a digit, hyphen, or period. 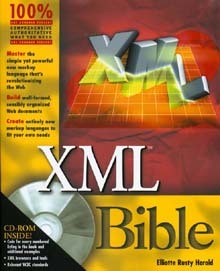 XML names cannot. What if we can use one of those DTDs instead of inventing our own?